In celebration of 10 years of Thomas Sabo charm club, the most popular charms have received a very special upgrade! 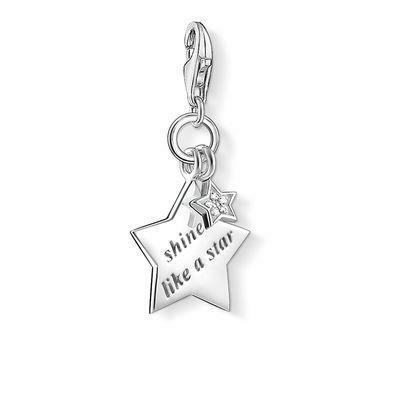 This magical design is crafted with 925 Sterling Silver and features a star cluster. The large star is engraved with 'shine like a star' which gently hangs with a small star beautifully embellished with four white Diamonds.